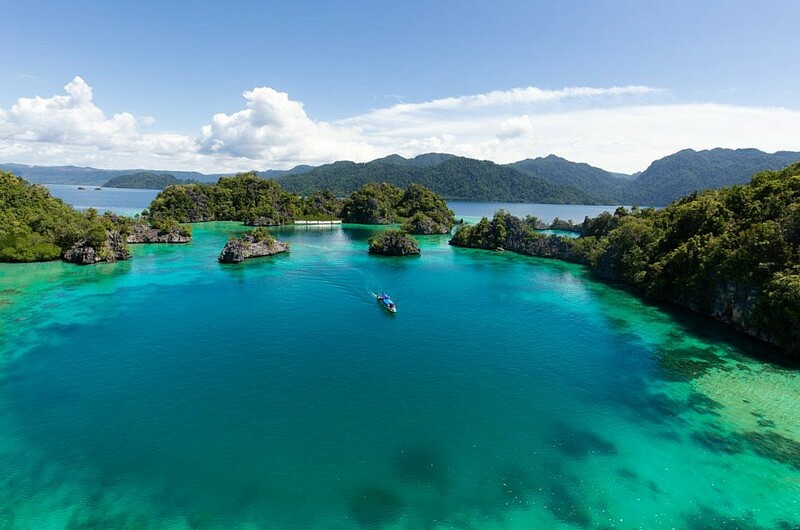 Nature can hardly be more beautiful and surprising than around the Sulawesi islands of Labengki and neighbouring Sambori. 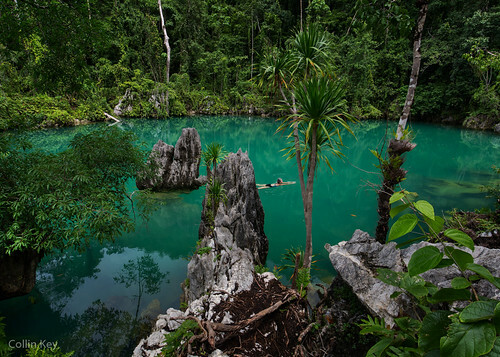 Breath-taking karst rock formations, untouched rain forest, hidden lagoons, coral reefs and even a blue hole not yet taken note of by the SCUBA-diving world. Yet there is a dark side to the paradise: years of dynamite fishing have destroyed a lot of the reefs and shooed away many of the fish. And lately the crown-of-thorns starfish, that feeds on corals threatens what is left of the reefs. But there is also a man and his team who fight for the rescue and preservation of this unique realm of nature. His name is Habib Nadjar Buduha, founder of the “Toli-Toli Giant Clam Conservation Project”. We meet him the day before we set out for our Labengki visit. I surely had not expected to see some fancy NGO headquarters but the humble wooden house that we enter after an hour’s taxi ride from Kendari airport still comes as a surprise to me. Habib lives here together with his old and wonderfully whimsical mother. They offer us tea on their large veranda. Habib sits behind his desk – a small and old wooden table covered with packs of cigarettes, a teacup, papers and mobile phones. Can this be the nucleus of a huge protected marine park? And what about giant clams? Then one day he decided to return home and live here in Toli-Toli, his home village. 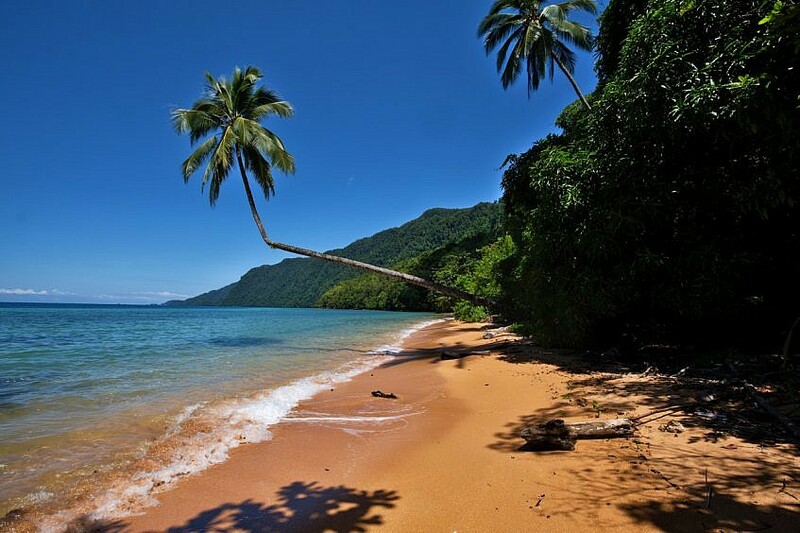 “What I found was – a deserted ocean. When I was a boy the sea was inhabited by colourful corals but now they have mostly disappeared.” And most shocking of all: the giant clams, once abundant in this area, were gone. As a matter of fact, the whole area around Labengki island is officially a protected nature reserve. Officially. On paper. A fact, as it seems, that slipped the attention of the government. Corals are destroyed by dynamite and poison fishing, mining companies line-up along the main coast like pearls on a string. Most if not all dispense with costly barrier lakes but let their mine wastes flow directly into the sea, causing a heating of the ocean water. He found volunteers, young men mostly, who assumed the idea of stopping the destruction of their native environment. 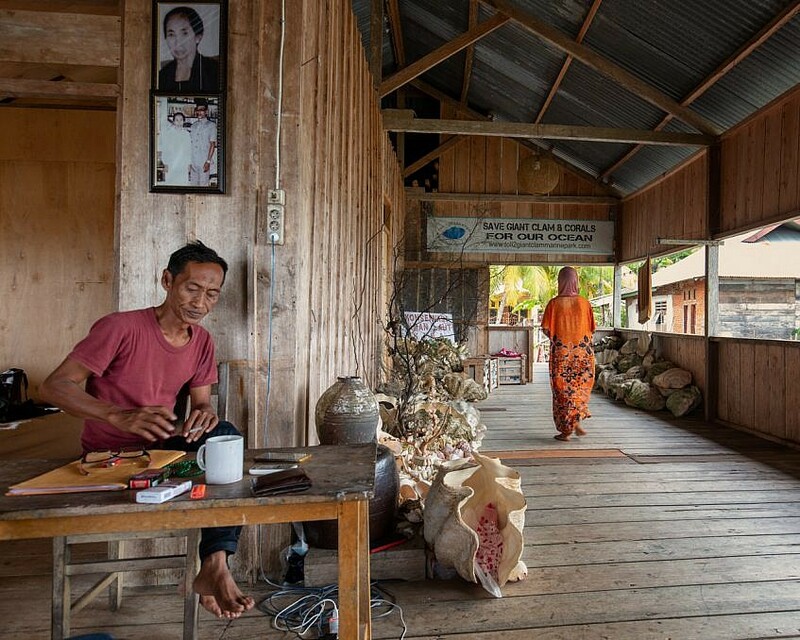 Together they set out and gathered tens of thousands of giant clams from unsafe places and brought them to the Toli-Toli coast which, by then, was declared protected area. Not by the government but by the local people. This was the second step. Next came a bold move reaching out as far as Pulau Labengki (sometimes written “Labengke”, too). The rugged rocks of the Labengki islands are a two-hour boat ride from the coast of Toli-Toli. They are populated by one small village of Bajo people. Habib set out to convince them to protect their islands, just as the fishermen of his homeplace had done before. In the morning we set out for the same destination. Habib has organized a boat and a skipper for us. One of his volunteers, a young man called Iman, will also join us as a guide and translator. We will stay there three nights in a Bajo homestay. The Bajo (also written Bajau or Bajao) are traditionally sea nomads. Originated from the Sulu Sea around Mindanao they used to travel the Malayan Archipelago without ever leaving their boats. Slowly they migrated south to Malayan and Sulawesi waters. Nowadays, most of them seem to have settled, though their affinity to water is always obvious – their villages are most often found on remote islands or rocks, their houses often built on wooden pillars above reefs. After we have towed our boat we are guided to the only stone house of the village right behind the jetty. A small room with a mattress on the floor will be our home for the next three days. The welcome is rather matter-of-factly, quite distinct from the usual smiling faces you are always met with throughout Indonesia. I felt this kind of reserved attitude in other Bajo villages again. It might be explained by the fact that these people have traditionally stayed among themselves while living on the ocean. Which is not to say that we were not met with friendliness. It did not take long until we became part of the nightly chit-chats on the veranda abundant with jokes and laughter. Bajo people make a living on fish. There is an ice machine at the jetty, so that when people bring by their large catches the fish can immediately be packaged. The tuna, they told us, goes to Singapore, the squids to Japan. And all the rest seemed to fill our dinner table. “They used a lot of dynamite to boost their catch,” Habib told us. “So how could I convince them to stop the practice and return to their traditional methods?” The answer is rather surprising: he joined them in dynamite fishing. And afterwards he demonstrated the disastrous effects this bombing had on the coral reefs and pointed out that this was the reason, too, why the large fish had begun to stay away. Habib is a very dedicated man and his dedication succeeded with the Labengki villagers, too. They signed a detailed treaty laying out how the Labengki islands and their surrounding water were to be protected from now on. And the Bajo people themselves will guard those rules. To compensate for the loss in catch they start to create tourist homestays guided by Habib’s NGO. They learn how to entertain outside guests and present them to the natural wonders of their place. The huge marine park Habib once dreamt about is beginning to take form. And this time it will be protected by people, not by paper. We have visited the incredible orchid lined blue lagoon, have snorkelled through a cave to reach the green lake, have marvelled at the ragged bay of Nirvana resort. At the time of writing, this resort is the only tourist accommodation besides the Bajo homestays and some cottages across the village. It was planned and built with the help of a Java-based investor on Habib’s own land with the aim of raising funds for the Giant Clam Project. Then conflict broke out and the investor banned Habib and his volunteers from the place. You can’t expect the police and the courts to solve such a case unbiased. Being an activist out here is not quite the same as joining an NGO in Europe or America. It means you have to fight. Literally. And as a rule, your opponents will be stronger than you – they have the money. 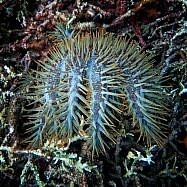 While the Nirvana issue is still unresolved, another threat appears hidden underwater: the crown-of-thorn starfish. This animal feeds on corals and as its numbers explode, it emerges as a dramatical hazard maybe worse even than dynamite fishing. Habib has an explanation for this alarming development, which we find supported by biologists we later talk to. The excavation materials of the mining companies, which are not retained by any barrier lakes, flow into the ocean and heat up the water. This is not to say that the authorities do not recognize the work of Habib and the Giant Clam Project. 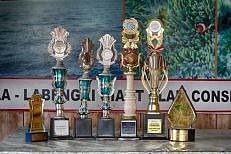 They have received a fair number of official rewards – which usually come in the form of trophy cups made of plastic. “We have no money and for the time being no support, either,” says Habib. “But we will not give up on this. We will dive and take the starfish out.” Clearing an area of more than one hundred square kilometres by diving? Being an activist in a place as remote as Labengki means you need stamina, the ability of improvising – and an endless reservoir of optimism. Pulau Labengki are actually two islands, Labengki Besar (Large) and Labengki Kecil (Small). The Bajo settlement is on Labengki Kecil. 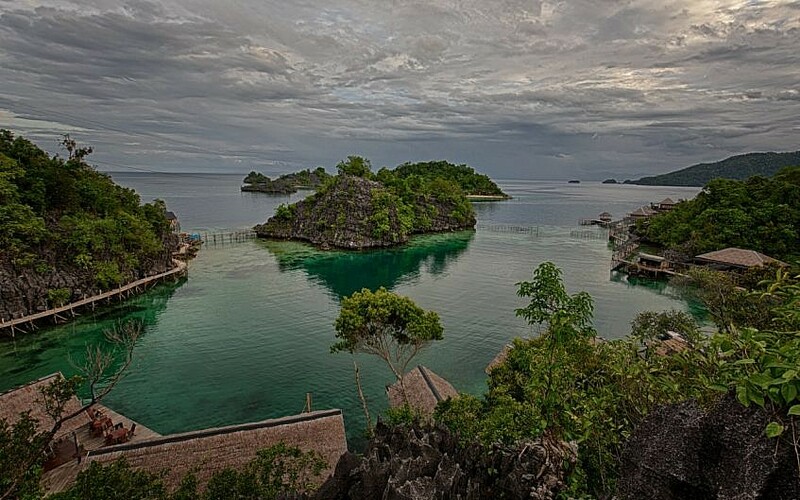 The islands are situated in the north of Sulawesi Tenggara (Southeast). 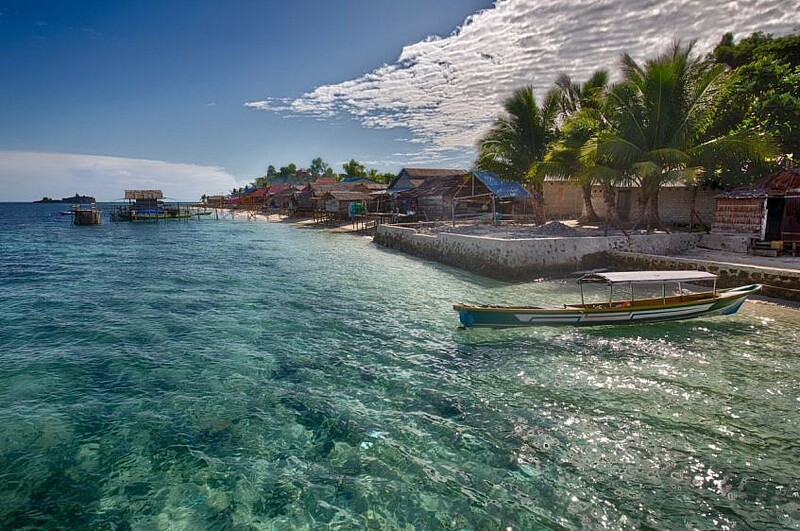 The neighbouring island Pulau Sambori is already part of Sulawesi Tengah (Central). 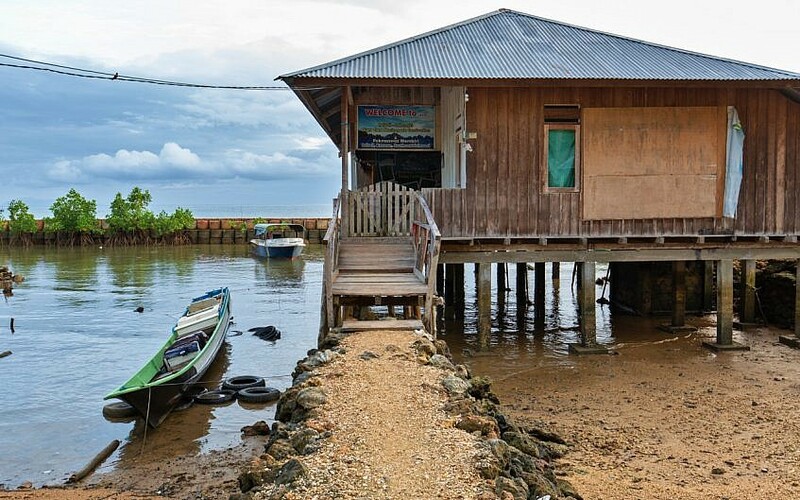 The most convenient approach is to take a plane from Makassar to Kendari (capital of Sulawesi Tenggara), then a taxi to Toli-Toli and from there by private boat. 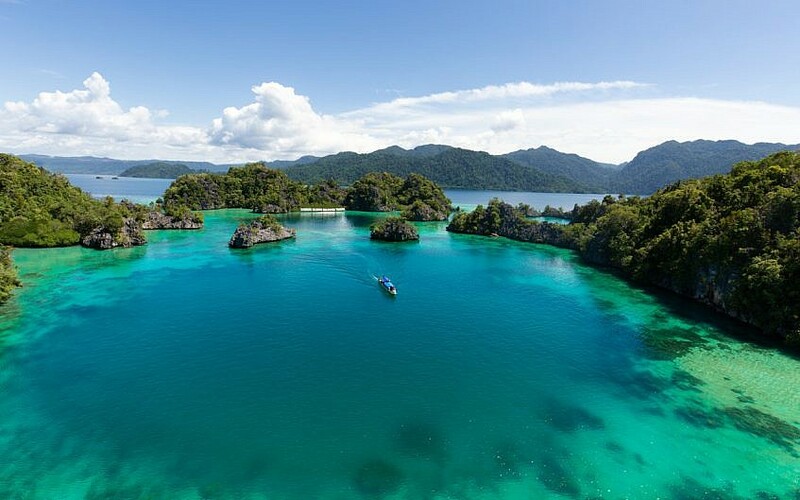 My advice is to book in advance at Sulawesi Experience. The owner of the travel agency is in fact Habib’s brother. They offer special package tours to Labengki. The Nirvana resort charges 1.3 Million IDR per night/person. During the week you can expect to be the only guests there. On weekends and holidays Indonesian travel groups crowden the place. We have been told that the Beach Huts across the Bajo village go for 500k IDR per night/person. More resorts are in planning which will be even costlier. At Sambori there is one resort under construction. Hello Bryan, My name is Mr. Lili. Thank you also for Mr. Collin for inform me. On behalf of Sulawesi-Experience.com, here I would like to inform you that We got your email on March 5. 2018 at 08.02 Pm. And we reply it on same day March 5, 2018, at 08.53 Pm. And then we re-send it again on April 13, 2018 at 04.19 Pm, but we don’t know whether you get our reply or not, but we already reply your email for 2 times. we apologize if this makes you uncomfortable, but we do our best for reply your email. Btw Habib is may Brother, Mr. Collin know about it, but I stay in different city. Your advice to book with Sulawesi Experience may be a good one but not in my experience. I tried to contact them before we left for Sulawesi, but I never got a reply. Then in Makassar I tried to find them via the address on their website. Again, no luck. At this point I had given up on Labengki and the giant clams. However, finally, by luck I ran into a diver at Sombu Jetty on Wangiwangi who was able to give me Pak Habib’s contact information, but by the time we got to Kendari we didn’t have time for the excursion to Labengki. We only went to Toli Toli and snorkeled one morning with Pak Habib and Imam. 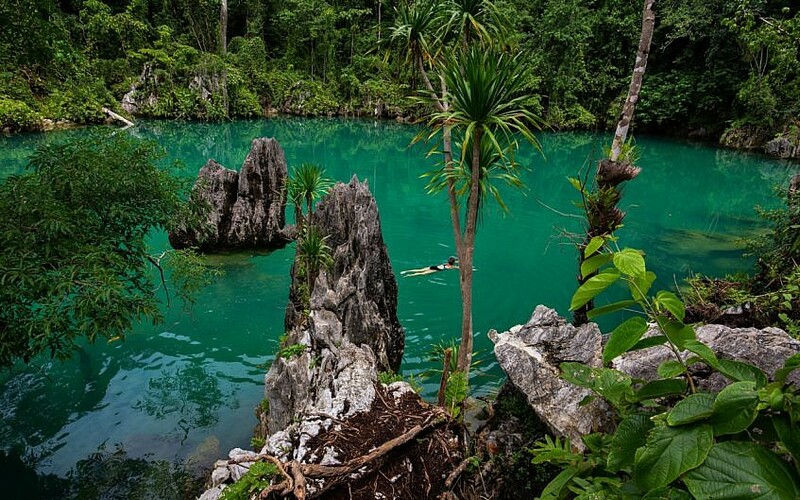 If I were planning my Sulawesi trip again, one of the things that I’d do differently would be to go to Labengki. Great that you visited and wrote about it. Pak Habib and his volunteers certainly need all the support that they can get. Thanks for the note, Bryan. I will inform the guys from Sulawesi Experience about your problem with them. Thanks so much for this post! I have been thinking about visiting Indra (Habib) and the Giant Clam Conservation project for a few years now. You have provided just the information I need to make more concrete plans. You will definitely enjoy the trip. How do you know about Habib? I discovered the Toli Toli giant clam marine sanctuary a few years back, donated a little to it and followed Habib’s fb posts since then.